Anchor-actor-singer Ayushmann Khurrana has been appointed the brand ambassador of Blaupunkt India, a German manufacturer known for its home and car audio equipment. Preeti Bakshi, marketing head, Blaupunkt India, feels that both Ayushmann and Blaupunkt complement each other as they are both known for great music and innovation. 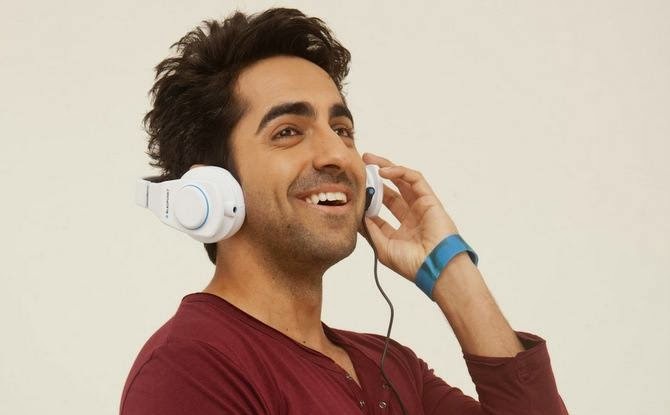 "Ayushmann and Blaupunkt are both recognised for great music, innovation and cool style. We are very excited to partner with Ayushmann and together we will further accelerate the connect of Blaupunkt products with Indian youth and young at heart," Bakshi said in a statement. Taking the association a step further, Blaupunkt is the official sound partner of Ayushmann's new soft rock love ballad single "O Heeriye!" that was launched Sep 14. "My association with Blaupunkt goes back a long way. My first car system was Blaupunkt when I was a kid. It's amazing to be a partner now. Music is an integral part of my life and Blaupunkt's premium sound gives music a cool dimension, be it in car or home," Ayushmann said. "For me, quality and innovation play an equally important role which is reflected in every product of the Blaupunkt range," he added.